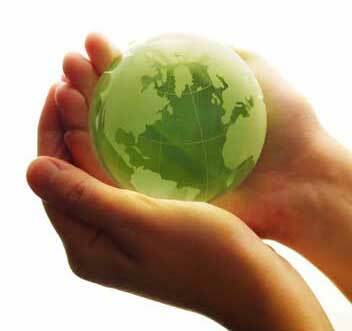 Greensphere is a niche consultancy firm specialising in expert sustainability advice and services. It was born out of a need for a more personalised service to Ecological Sustainable Design/Development (ESD) in the Building and Construction Industry and offers integrated ESD solutions. Greensphere draws on a wider team who’s talent base have worked and continue to work in diverse and challenging settings, including many years in corporate industry ESD consulting at both locally and internationally renowned practices, as well as on research projects and in education, passing on knowledge to the future generations. The principal consultant, Chris Jensen, brings an extensive range of experience to Greensphere Consulting, from policy setting, to consulting, research and education. Having worked at a range of ESD consultancies, he brings multiple perspectives to ESD services, from environmental science, to architecture and engineering. Published research for the Australian Greenhouse Office, including an international comparison study on residential energy performance requirements and a paper on the mandatory disclosure of energy usage for residential buildings. As well as lecturing at The University of Melbourne’s Architecture Faculty, on energy modeling and ESD design and invited presentations to the Australian Institute of Architecture (AIA), Building Designers Association of Victoria (BDAV) and Building Surveyors Association. At Greensphere, we believe in the creation of buildings that will effectively run themselves with respect to thermal comfort, ventilation, natural lighting, sustainable materials and other passive design strategies. As energy prices increase and frustration at low quality and poor performing buildings continues, environmental performance will be increasingly important. From a built environment perspective, Ecological Sustainable Design/Development (ESD) is about providing good design, incorporating innovative, adaptable and technologically advanced development that caters for the environmental, social and economic needs of our society, both now and in the future. Importantly, ESD is fast becoming the critical aspect in terms of delivering project outcomes that respond to the needs of all stakeholders involved. Greensphere Consulting believes in delivering sustainable solutions based on a holistic, integrative process to truly maximise the benefits of ESD by infusing it through all facets of a project’s evolution.